Essential oils are concentrated plant extracts obtained by careful steam distillation, cold pressing, or resin tapping. Pure essential oils are far more powerful than the botanicals from which they are extracted. This makes them powerful allies in your family’s health and wellness, as well as a natural ingredient for your cleaning and self-care products. I discovered essential oils in 2008 when a friend of mine had me try a few drops of Peppermint Oil to calm my allergies at an event. She had me put a little under my tongue. I felt immediate relief and knew I wanted to learn more. 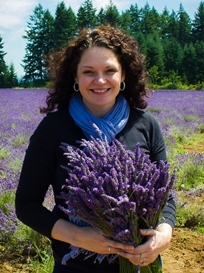 Since then, essential oils and essential oil products have become a staple in our household. Over the years, we have moved to mostly organic food and away from toxic cleaning products and chemicals. Essential Oils have been a great and natural replacement. 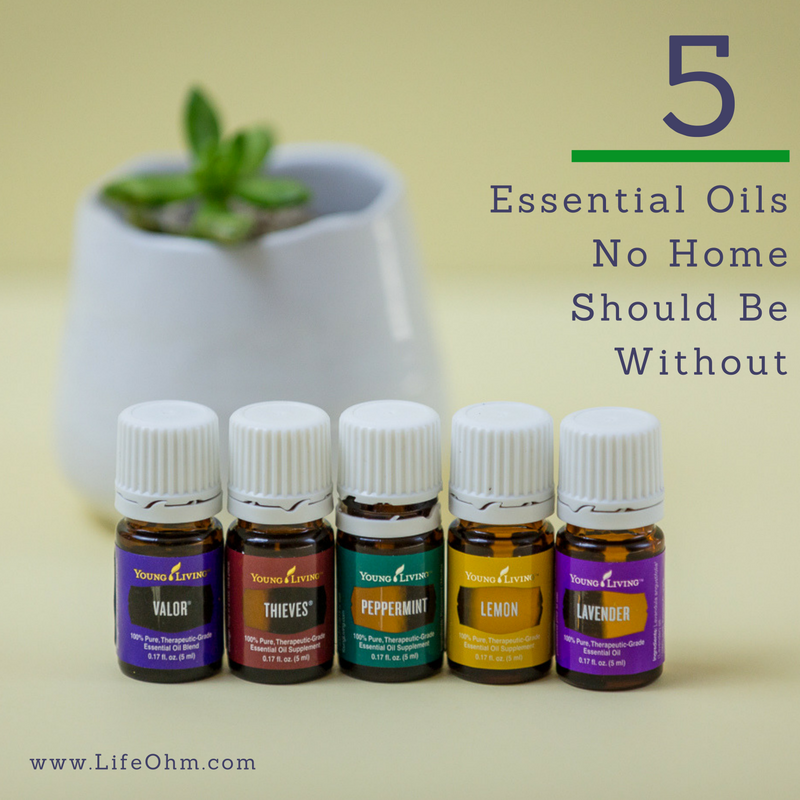 The five oils that are staples in our home and in many others are listed below, along with their common uses. Here is a list of 25 Ways to Use Lavender Oil if you’d like to learn more about this amazing oil. Thieve oil is one of the most popular YoungLiving blends and for good reason. It provides powerful wellness support and is also excellent for cleaning. Thieves gets its name from oils that were used by thieves in the 16th century. The ancient thieves covered themselves in the oils from this blend to keep from getting the Black Plague from the graves they robbed. The thieves were captured and the King made them disclose how they managed to stay healthy. They were forced to give up their secret protective essential oils. Thieves is a powerful combination of Clove, Lemon, Cinnamon, Eucalyptus Radiata, and Rosemary essential powerful combination of Clove, Lemon, Cinnamon, Eucalyptus Radiata, and Rosemary essential oils for an aromatic blend that fills any space with a rich, spicy aroma. for an aromatic blend that fills any space with a rich, spicy aroma. The fifth oil in my list may be up for debate by essential oil gurus but Valor is a must-have for me. Valor essential oil blend helps promote feelings of courage, confidence, and self- esteem. It combines the balancing properties of spruce, rosewood, blue tansy, and frankincense essential oils, this blend aids in visualizing and attaining self empowerment. These oils can be purchased individually and are all also part of the YoungLiving starter kit. Contact me to learn more and how you can also get free gifts! There are a wide-range of uses for each essential oil and everyone has their own favorites. The Essential Oils Desk Reference is a great tool for learning more about individual oils. I think essential oils are so cool. One of my friend’s is really into them and I don’t understand them completely but they seem to work well and smell so nice. There’s something about their scent that is just very calming and relaxing. Hi Pam, thank you so much. It’s nice to have you on my page and I appreciate your comment <3. I agree, they can be very calming and relaxing. If you'd like to learn more, please feel free to attend one of my free classes. I have both live classes and will have some online classes coming up soon.